In our hurried modern era, many of us are too busy to make all of our food (including condiments) from scratch, or just don't have the means to produce the things we eat. Although I'm sure we could brew our own soy sauce or whip together mustard if we really needed to, we'd have to do a fair bit of research and learn some of these homestead-y skills. Maybe we should be making our own food from scratch, considering all the chemicals and additives that go into pre-made food, and how badly some people react to them. From carcinogenic faux sugars to GMO corn, fillers and fakes have oozed their way into many favorite store-bought items, and they like to hide in the sneakiest of places. Read on to discover where some of the worst offenders like to lurk -- and why you should avoid them at all costs. That sounds rather innocuous, doesn’t it? I mean, all you really need to do to make homemade caramel is to reduce sugar to a syrup, right? You wouldn’t want to have too much of that, but aside from elevated blood sugar, it’s not all that harmful. That said, “caramel coloring” is a totally different beastie all together: when it’s mixed with ammonia, it creates 2-methylimidazole and 4-methylimidazole, which are rather potent carcinogens. This nasty additive is often used in soft drinks like brown sodas (think root beer, colas, etc. ), gravies, sauces, canned soups, and even mass-produced veggie burgers. Brown and orange sodas (think root beer, colas, orange drinks). Some dark alcoholic beverages such as rum, whiskey, brandy, and many beers. Canned, bottled, or powdered sauces, gravies, broths, bouillons, soups, and stews. Veggie burgers, beef patties, hamburgers, frozen appetizers. Candy, chocolate, candy bars, instant sweet hot drinks. Drink syrups, including those used at your favorite cafes. Ah, wheat. A delicious grain that’s chock-full of fiber, and oodles of gluten goodness. To the millions of people who have Celiac disease, gluten intolerance/sensitivity or wheat allergies, this unobtrusive little grain can cause a world of misery. Wheat can pop up in some of the strangest places, and unless one is super-diligent about checking every ingredient in pre-made foods, it’s more than likely that an accidental glutening will occur once in a while. Those who don’t have gluten sensitivities may not be able to relate to the wide variety of unpleasant symptoms that spring up if it’s ingested accidentally, but they’re intense, and range from gastro distress and headaches to flu-like symptoms and joint pain/swelling that can last for weeks. Fake crab/surimi, various sausages, nearly every vegan/vegetarian meat alternative – wheat starch is used as a binding agent. Most soy sauces – it’s used in combination with fermented soy beans. Canned soups, stews, sauces, and salad dressings – wheat flour and starch are used as a thickening agent. Flavored potato chips and rice cakes – again, as a binding agent to glue spices and such to the snack’s surface. Powdered bouillon (and stock cubes), instant cocoa – as mentioned, it’s a thickener. Oatmeal, candy, chocolate, and just about any other food that isn’t specifically gluten free. Note: if the item is made in a facility that also processes wheat ingredients, there’s a chance of cross-contamination. Also known as FD&C Yellow or E102, tartrazine is a water-soluble dye made from coal tar. 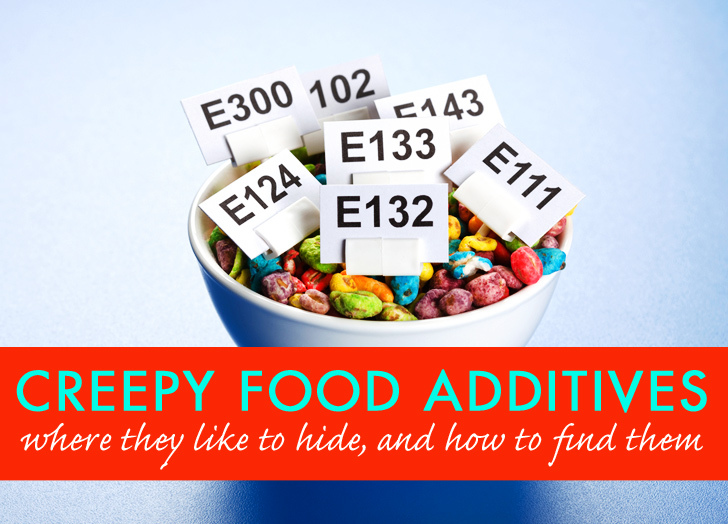 It’s commonly used in pre-packaged foods like macaroni and cheese (it lurks in the cheese powder), and it also shows up in candy, lemonade, cough syrups, and cereals. Tartrazine has been shown to increase kidney and adrenal gland tumors in lab animals, can cause hives, hyperactivity, and seizures in children who are sensitive to it, and may even cause chromosomal damage to fetuses when consumed by pregnant women. Tartrazine is often used to give a yellowish hue to dairy products, and it’s also used to “brighten up” lemon and orange peels to intensify their color and make them look more appealing. Packaged macaroni and cheese, unless it’s organic. The peels of yellow and orange citrus such as lemons, oranges, tangerines, and grapefruits. Powdered or cubed chicken, vegetable, or onion stock. Yellow or orange soft drinks/sodas, popsicles, freeze pops, and powdered drink mixes. Yellow-tinted breakfast cereals, cheeses, ice cream (like French Vanilla), butter, and margarine. Sweet snacks/desserts like Jello, cookies, candies, pudding cups, cake mixes, and frostings. Savory snacks with any kind of cheese flavor, like Doritos, Cheetos, and all-dressed chips. Lauded as the dieter’s sweetener, aspartame is startlingly scary stuff. Brands like Nutrasweet and Equal are found in little packets on nearly every cafe table, but this artificial sugar substitute leaves a bitter aftertaste: this known carcinogen is also a neurotoxin, and may lead to illnesses such as diabetes, multiple sclerosis, and Alzheimer’s (in addition to various cancers), as well as depression, anxiety, migraines, and even seizures. Humans can’t metabolize the chemicals in aspartame, and it basically transforms into formaldehyde in our bodies. Yeah, formaldehyde—the stuff used to embalm dead bodies. Any diet soda – those zero-calorie drinks with “no sugar added” are full of this stuff. Sugar-free gum, candy, and various desserts. Diet drink mixes, including iced tea. Toothpaste, dental floss, mouthwash, and breath mints. Most of the corn that’s used as filler in pre-made foods is genetically modified, and many people react really, really badly to it. High fructose corn syrup (HFCS) is one of the most common forms in which corn seeps into the foods we eat, although “modified corn ingredients” (like starch) is also nearly as ubiquitous. HFCS is a huge contributor to weight gain, raises “bad” cholesterol levels, and contributes to diseases such as diabetes. More and more people are developing allergies and sensitivities to corn (especially HFCS), with symptoms such as gastrointestinal issues similar to IBS, as well as rashes/hives, wheezing, headaches, and dizziness. Add the fact that nearly all the corn used to make HFCS is genetically modified, and the picture gets even uglier. 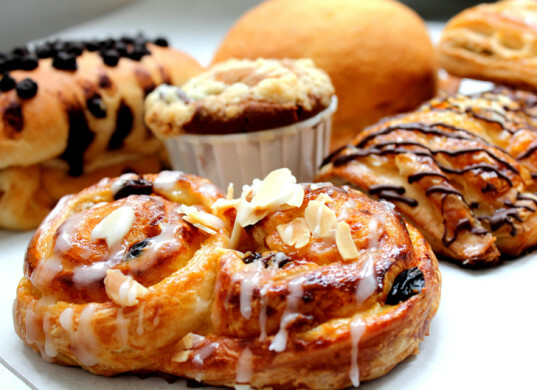 Most store-bought breads and baked goods such as muffins, cupcakes, brownies, cakes, and pastries. Cookies, crackers, cereals, pretzels, hard candies, soft candies, candy corn. Some canned vegetables, beans, fruits, soups, tomatoes, pickles, cranberry sauce, applesauce, baby food. Ice cream, fruit yogurt, jams, jellies, marmalades, and preserves. Condiments like ketchup, BBQ sauce, sweet relish, sweet pickles, and Miracle Whip dressing. Soft drinks, iced teas, packaged drinks, instant drink powder, pancake syrup. Cough syrups, throat lozenges, sweet-coated pain medication, some prescription drugs. Have you ever heard of Butylated hydroxyanisole (BHA) or butylated hydrozytoluene (BHT)? Chances are that you haven’t, but you’ve likely consumed some within the last few days. These antioxidant preservatives are added to foods that contain fats and oils to keep them from going rancid, and in addition to being potential carcinogens, they’re also endocrine (hormone) disruptors. Butter, margarine, shortening (including plant-based shortening), packaged cake frosting. Baked goods, pastries, cookies, candies, chewing gum. Packaged luncheon meats, sausages, burgers, frozen meals. Crackers, chips, instant (dehydrated) potatoes, powdered milk. Some carbonated beverages, including beer. Cat food, dog food, farm animal feed. Choosing all-organic food and cooking all meals from scratch may not be options for all of us, but we can make wiser, healthier choices at the supermarket just by keeping an eye out for these additives. 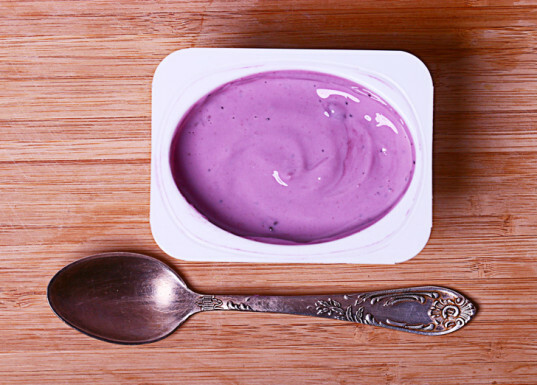 Although it might be a bit time consuming, it’s important to read the ingredients list before buying a product, and if you find that you have a strange reaction after eating or drinking it, contact the company to find out whether there are hidden ingredients that you may have reacted to. These often fall into nebulous listings like “natural flavors and colors,” “some artificial flavoring,” and “assorted seasonings.” Eliminating unhealthy additives (or at the very least, cutting down on them as much as possible) may have startlingly positive effects on your entire family’s emotional and physical health. Lead image, soda bottles, macaroni, pastries, sweetener, wheat, and yogurt via Shutterstock. That sounds rather innocuous, doesn't it? I mean, all you really need to do to make homemade caramel is to reduce sugar to a syrup, right? You wouldn't want to have too much of that, but aside from elevated blood sugar, it's not all that harmful. That said, "caramel coloring" is a totally different beastie all together: when it's mixed with ammonia, it creates 2-methylimidazole and 4-methylimidazole, which are rather potent carcinogens. This nasty additive is often used in soft drinks like brown sodas (think root beer, colas, etc. ), gravies, sauces, canned soups, and even mass-produced veggie burgers. Where it's hiding: Brown and orange sodas (think root beer, colas, orange drinks). Some dark alcoholic beverages such as rum, whiskey, brandy, and many beers. Canned, bottled, or powdered sauces, gravies, broths, bouillons, soups, and stews. Veggie burgers, beef patties, hamburgers, frozen appetizers. Candy, chocolate, candy bars, instant sweet hot drinks. Drink syrups, including those used at your favorite cafes. Ah, wheat. A delicious grain that's chock-full of fiber, and oodles of gluten goodness. 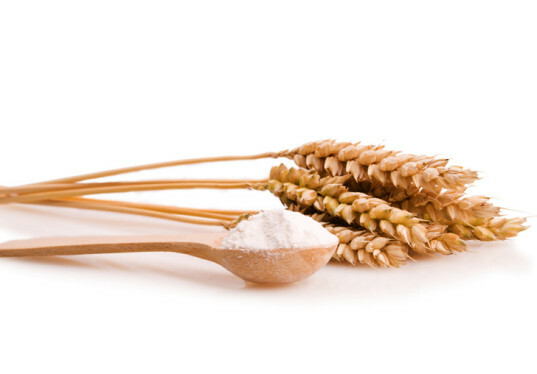 To the millions of people who have Celiac disease, gluten intolerance/sensitivity or wheat allergies, this unobtrusive little grain can cause a world of misery. Wheat can pop up in some of the strangest places, and unless one is super-diligent about checking every ingredient in pre-made foods, it's more than likely that an accidental glutening will occur once in a while. Those who don't have gluten sensitivities may not be able to relate to the wide variety of unpleasant symptoms that spring up if it's ingested accidentally, but they're intense, and range from gastro distress and headaches to flu-like symptoms and joint pain/swelling that can last for weeks. Where it's hiding: Fake crab/surimi, various sausages, nearly every vegan/vegetarian meat alternative - wheat starch is used as a binding agent. Most soy sauces - it's used in combination with fermented soy beans. Canned soups, stews, sauces, and salad dressings - wheat flour and starch are used as a thickening agent. Flavored potato chips and rice cakes - again, as a binding agent to glue spices and such to the snack's surface. Powdered bouillon (and stock cubes), instant cocoa - as mentioned, it's a thickener. Oatmeal, candy, chocolate, and just about any other food that isn't specifically gluten free. Note: if the item is made in a facility that also processes wheat ingredients, there's a chance of cross-contamination. Also known as FD&C Yellow or E102, tartrazine is a water-soluble dye made from coal tar. It's commonly used in pre-packaged foods like macaroni and cheese (it lurks in the cheese powder), and it also shows up in candy, lemonade, cough syrups, and cereals. Tartrazine has been shown to increase kidney and adrenal gland tumors in lab animals, can cause hives, hyperactivity, and seizures in children who are sensitive to it, and may even cause chromosomal damage to fetuses when consumed by pregnant women. 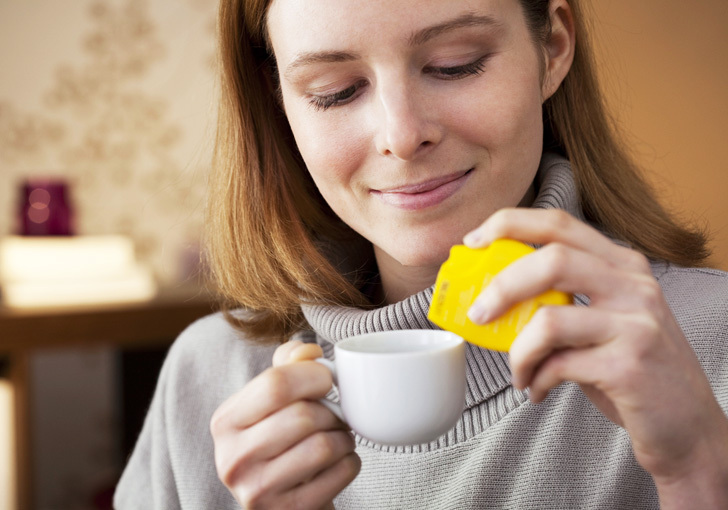 Tartrazine is often used to give a yellowish hue to dairy products, and it's also used to "brighten up" lemon and orange peels to intensify their color and make them look more appealing. 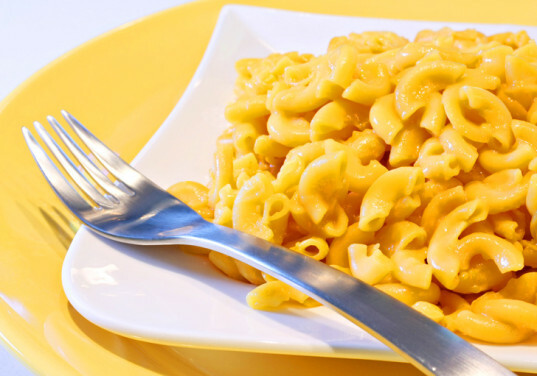 Where it's hiding: Packaged macaroni and cheese, unless it's organic. The peels of yellow and orange citrus such as lemons, oranges, tangerines, and grapefruits. Powdered or cubed chicken, vegetable, or onion stock. 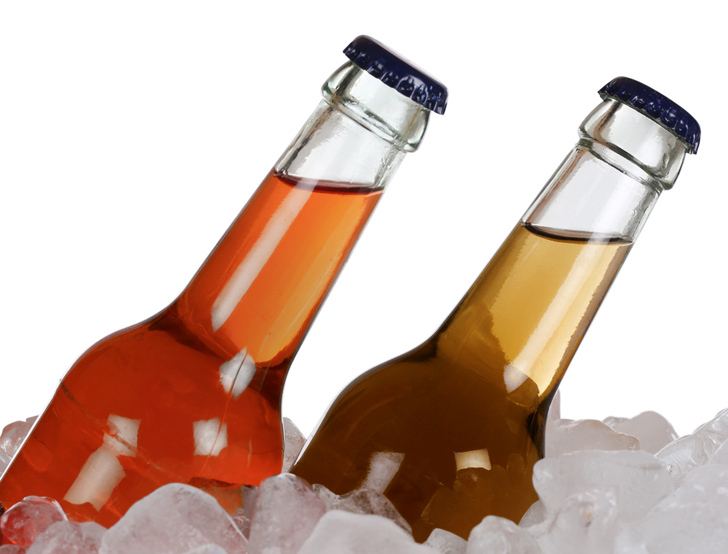 Yellow or orange soft drinks/sodas, popsicles, freeze pops, and powdered drink mixes. Yellow-tinted breakfast cereals, cheeses, ice cream (like French Vanilla), butter, and margarine. Sweet snacks/desserts like Jello, cookies, candies, pudding cups, cake mixes, and frostings. Savory snacks with any kind of cheese flavor, like Doritos, Cheetos, and all-dressed chips. Lauded as the dieter's sweetener, aspartame is startlingly scary stuff. Brands like Nutrasweet and Equal are found in little packets on nearly every cafe table, but this artificial sugar substitute leaves a bitter aftertaste: this known carcinogen is also a neurotoxin, and may lead to illnesses such as diabetes, multiple sclerosis, and Alzheimer's (in addition to various cancers), as well as depression, anxiety, migraines, and even seizures. Humans can't metabolize the chemicals in aspartame, and it basically transforms into formaldehyde in our bodies. Yeah, formaldehyde—the stuff used to embalm dead bodies. Where it's hiding: Any diet soda - those zero-calorie drinks with "no sugar added" are full of this stuff. Sugar-free gum, candy, and various desserts. Diet drink mixes, including iced tea. Toothpaste, dental floss, mouthwash, and breath mints. Most of the corn that's used as filler in pre-made foods is genetically modified, and many people react really, really badly to it. High fructose corn syrup (HFCS) is one of the most common forms in which corn seeps into the foods we eat, although "modified corn ingredients" (like starch) is also nearly as ubiquitous. HFCS is a huge contributor to weight gain, raises "bad" cholesterol levels, and contributes to diseases such as diabetes. More and more people are developing allergies and sensitivities to corn (especially HFCS), with symptoms such as gastrointestinal issues similar to IBS, as well as rashes/hives, wheezing, headaches, and dizziness. Add the fact that nearly all the corn used to make HFCS is genetically modified, and the picture gets even uglier. Where it's hiding: Most store-bought breads and baked goods such as muffins, cupcakes, brownies, cakes, and pastries. Cookies, crackers, cereals, pretzels, hard candies, soft candies, candy corn. Some canned vegetables, beans, fruits, soups, tomatoes, pickles, cranberry sauce, applesauce, baby food. Ice cream, fruit yogurt, jams, jellies, marmalades, and preserves. Condiments like ketchup, BBQ sauce, sweet relish, sweet pickles, and Miracle Whip dressing. Soft drinks, iced teas, packaged drinks, instant drink powder, pancake syrup. Cough syrups, throat lozenges, sweet-coated pain medication, some prescription drugs. Have you ever heard of Butylated hydroxyanisole (BHA) or butylated hydrozytoluene (BHT)? Chances are that you haven't, but you've likely consumed some within the last few days. These antioxidant preservatives are added to foods that contain fats and oils to keep them from going rancid, and in addition to being potential carcinogens, they're also endocrine (hormone) disruptors. Choosing all-organic food and cooking all meals from scratch may not be options for all of us, but we can make wiser, healthier choices at the supermarket just by keeping an eye out for these additives. Although it might be a bit time consuming, it's important to read the ingredients list before buying a product, and if you find that you have a strange reaction after eating or drinking it, contact the company to find out whether there are hidden ingredients that you may have reacted to. These often fall into nebulous listings like "natural flavors and colors," "some artificial flavoring," and "assorted seasonings." Eliminating unhealthy additives (or at the very least, cutting down on them as much as possible) may have startlingly positive effects on your entire family's emotional and physical health.